We live in a super saturated, fast-paced society. So ask yourself this important question: How does your business stand out from the crowd? We are your go-to resource to get noticed. We believe in producing high-quality content that engages the right audience and connects you with professionals in a meaningful way. Every month, we can introduce you to more than 80,000 dedicated professionals looking to stay at the forefront of the skin care and spa industry. Our mission is to further the growth of industry professionals. We strive to be their monthly source of inspiration and their driving force to move forward and expand. This is where you come in by joining our circle of influence. We live in the era of the NOW revolution. 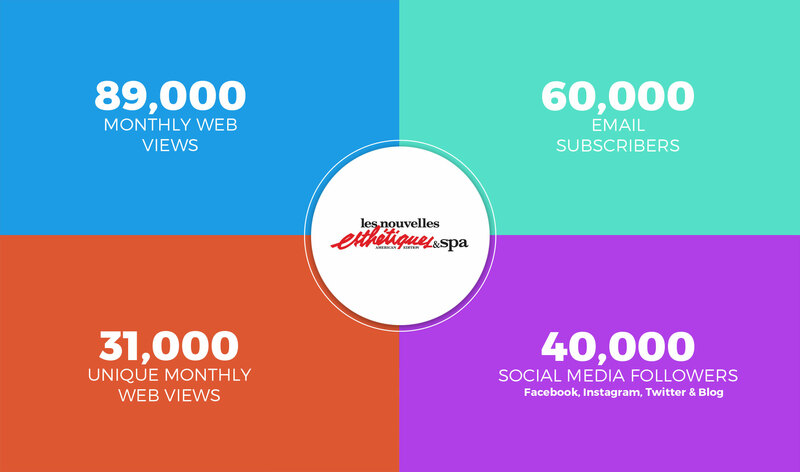 LNE & Spa knows how to capture the attention of today’s online skin care and spa professionals by featuring the best skin care innovations, spa trends and industry tips, available with the tap of a finger on all relevant platforms including digital, mobile and social. Not to mention, our list of email subscribers is unmatched in the industry. Join our circle of influence, which engages the right audience and connects your brand to professionals in a powerful and meaningful way. Let us tailor an advertising package suited to your needs.